Bungee jumping is perhaps one of the best ways to experience an incredible adrenaline rush. This extreme kind of sport that involves jumping from high place (bridge, tower, helicopter, etc.) by the help of elastic cord originated from Vanuatu in New Zealand where young men of the Aboriginal tribes were obliged to tie their ankles with lianas and jump from high wooden towers to prove their courage. 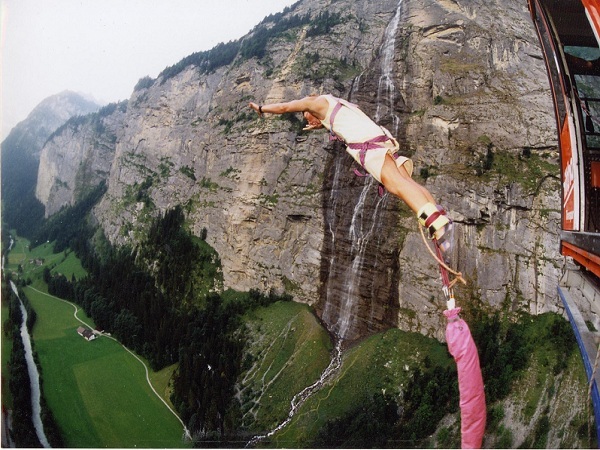 In modern days bungee jumping has taken off as an extreme sport that anyone can do, and many places are now capitalizing on their picturesque surroundings to provide a fix of excitement against a staggering backdrop. Keep in mind that bungee jumping is strictly prohibited to those who have high blood pressure and heart problems.